The end of a wonderful year - a week of celebrations. We have worked so hard this year. We have been remembering our favourite parts of being in Reception and have added these to our learning journeys. We have also continued with our favourite part of maths - measure. We have measured our height with a piece of string to save as a memento of our year. We have also celebrated with ICE LOLLIES! We have completed our under the sea focus work and created the most amazing displays. We have a printing and sewing display along with creating our own pirate paper and writing messages as if we were stuck on the island. What a fantastic topic - we are now continuing our work with water investigation using the drainpipes and creating water fountains. This week we have been showing off our maths and phonic skills. We have worked hard finding many different ways of making 10 - bet you can't guess how many we found out! We have been using the variety of different phonic games that we have in our classroom to develop our sound and keyword knowledge - we have read words, read sentences, written lists and captions. WOW! Finally the rain had stopped! 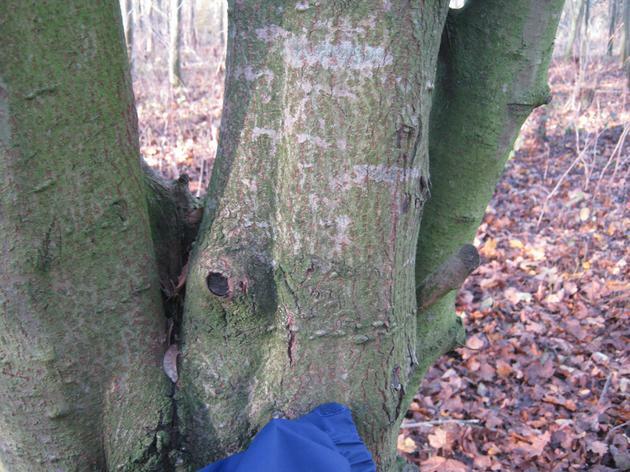 We then found a quiet spot in the school field near lots of trees and plants. We thought that it would be the best place to let them free. 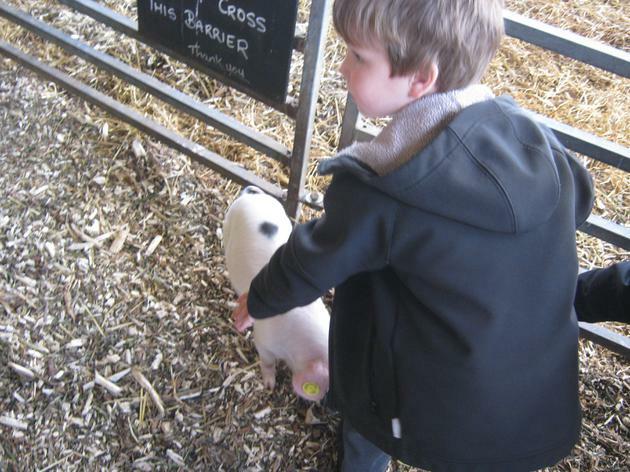 We were very careful when holding them and let them go. We felt very happy that they were free but also a little bit sad as we will miss looking after them. We learnt a lot about butterflies and are now making our own in the making area - adding string to them so they can fly! We came into school on Monday morning and we were amazed. Four butterflies were in our net. We had put some sugar water in the net over the weekend just in case and they were all very very happy. We will now watch them for a few days and look after them then let them go. It has been amazing to watch the life cycle and we are also acting it out with the story resources from the hungry caterpillar and making symmetrical butterflies with the shapes. 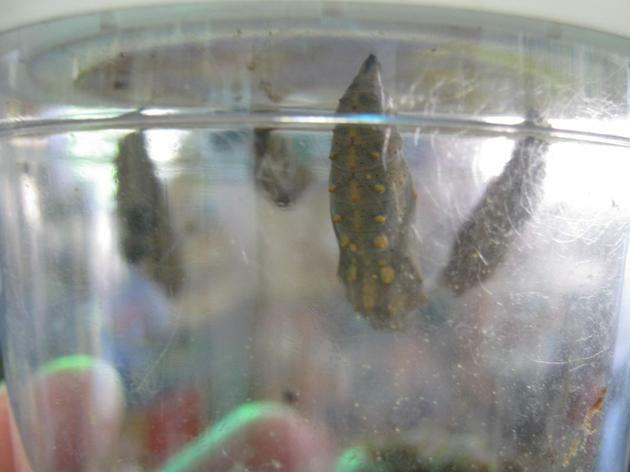 We came into school on Monday to see that our caterpillars had made their very own cocoons! We are so very very excited, what will happen next? We used the hungry caterpillar story to find out - we may have to wait for more than two weeks! 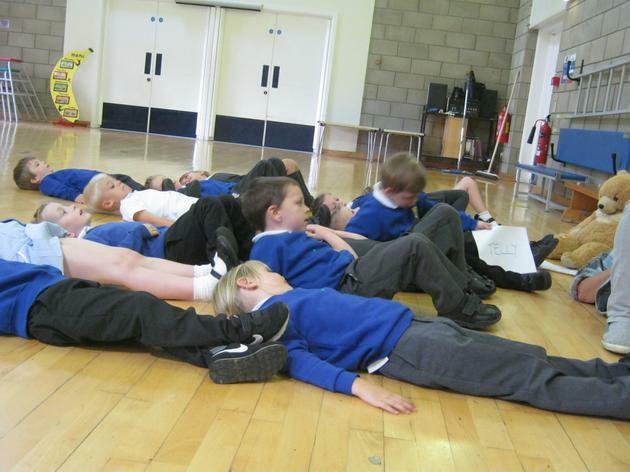 We are also working very hard on our part in the school show - we are pirates. We have learnt an action poem and our very own dance. We can't wait to show everyone. 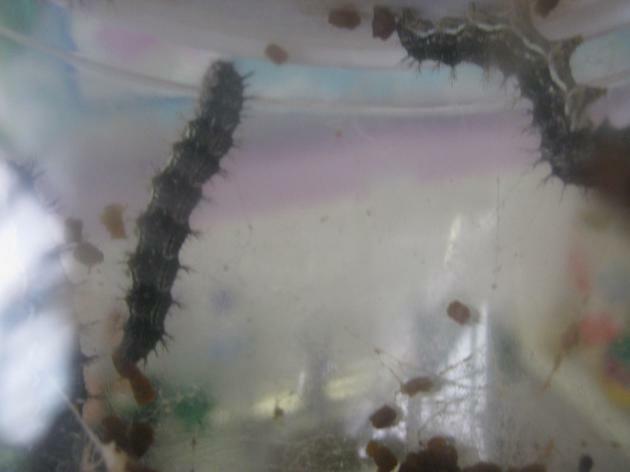 We have been investigating living things this week and have been watching how our caterpillars grow. We have been keeping a caterpillar diary which records their growth and have also been using this as a basis for our writing. We have been writing descriptive sentences about the caterpillars and have used words such as cute, furry, big, growing, amazing and that they are turning into a butterfly. 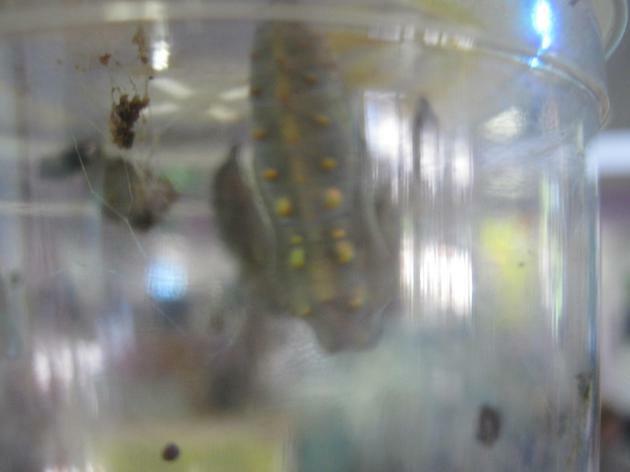 We are amazed at how quickly they grow and can't wait until they turn into butterflies. The week of our school trip. We are very excited and have completed our own risk assessment, discussing what we needed to do when we got to church farm. The day was very exciting. We went on a coach, which everyone enjoyed - lots of us slept on the way home! 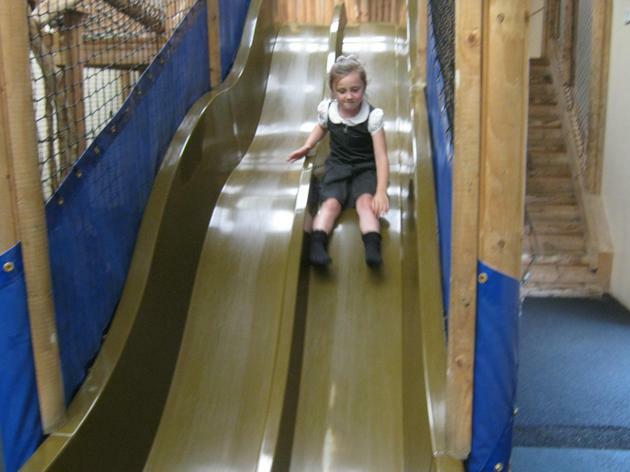 When we were there we enjoyed looking at the animals, going on the play area inside, especially the slide. We liked the tractor area and the tractor ride. The trampolines and the football pitch were great. 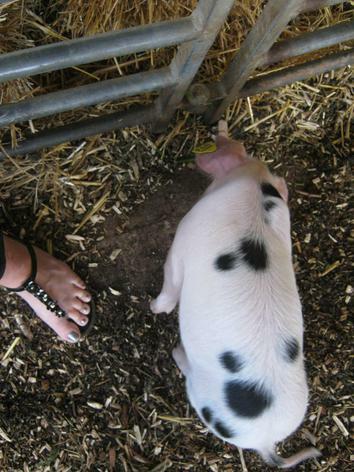 A comment from the day was.... 'it was the biggest fat pig I have every seen!' 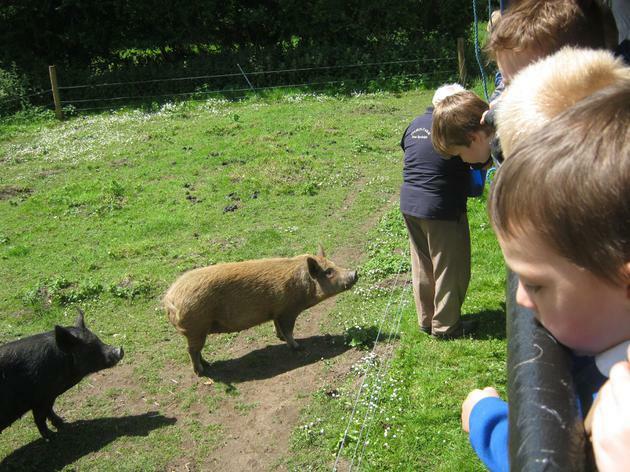 and we then found even more and fed it them with lots of carrots. We have been working very very hard over the last term on our multi skills. 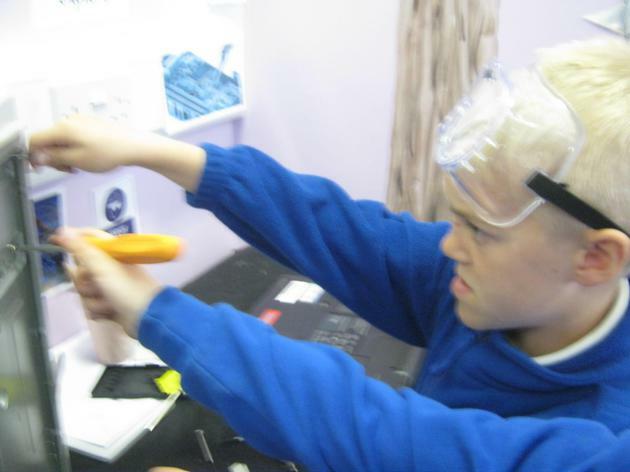 We have been working with footballs, hockey sticks and other small equipment. We are very proud of all our hard work and were so proud to be able to show it off to our parents. We have been continuing with our pirate work. This week we have read a Pirate Pete book and discussed the characters. The books are very funny! We then decided to make our own pirate paper. This will be used when we carry out our role play drama session on Thursday, stranded on an island! We will have to write messages to get help. We will also photocopy some of the pirate paper so that we can make our own treasure maps and discuss directions and positional language. We are continuing our work on pirates. 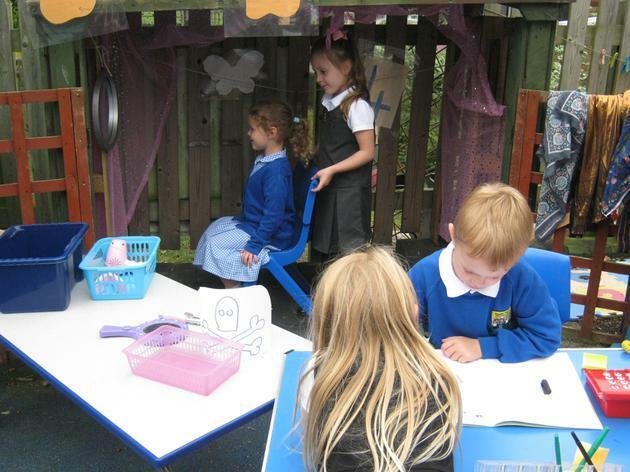 We have created a pirate ship in the writing area and we make sure it is ship shape at the end of each session. We will also be working with the metal detectors to search for pirate treasure. 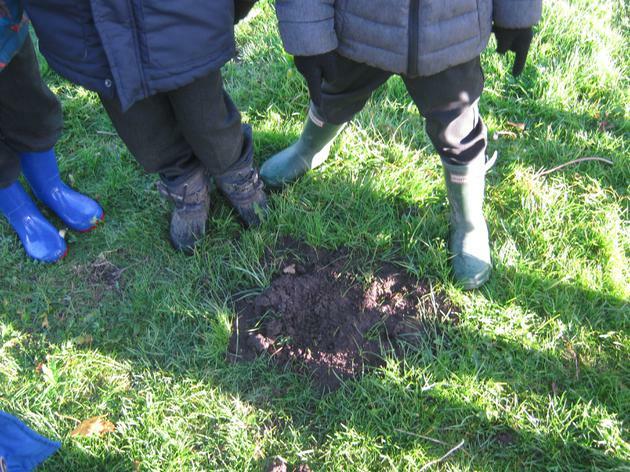 We are very excited about the different treasure that we will find. We will then be using our phonic knowledge to write what we find. We have also been investigating money - identifying the different coins and then paying for different things using the right coins and giving change. 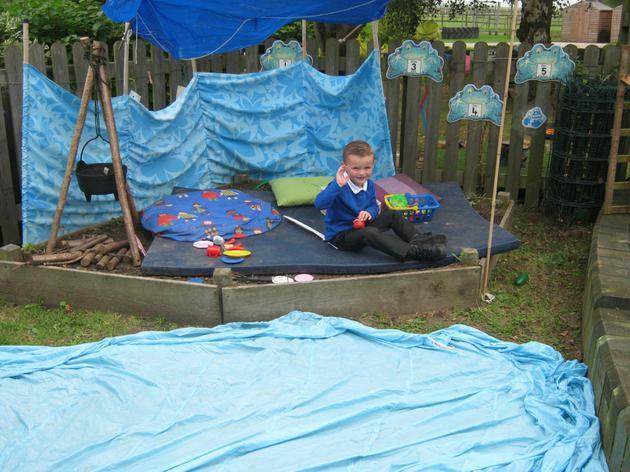 This week we have decided to create a pirate ship in our trike area. 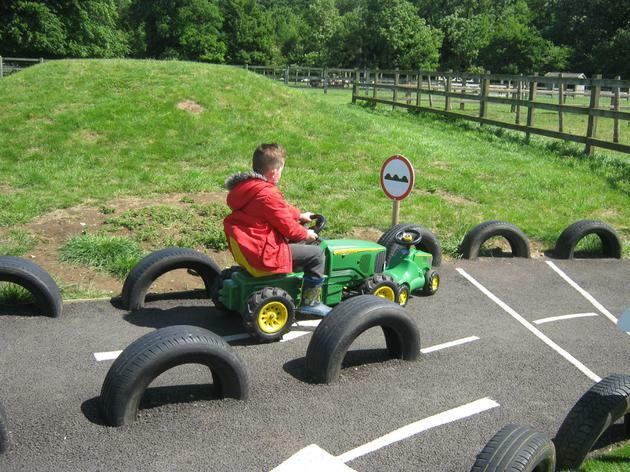 We have created the shape with the tyres then added a captain cabin, an eating area and the steering area. We are adding a pirate flag and then using the trikes as row boats to move around the ship to islands. We will be drawing chalk sharks that we have to steer round and also a mermaid cave. We will then create pirate and mermaid stories. We will take on the roles of different characters and learn how to listen to the ideas of our friends. 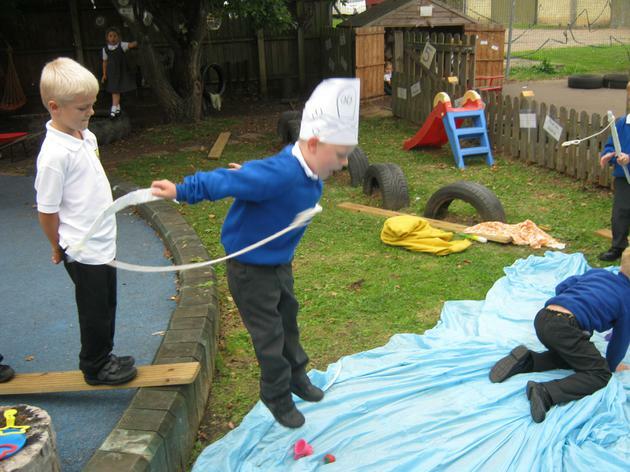 We dressed as pirates and worked with year 1 and year 2 all day. 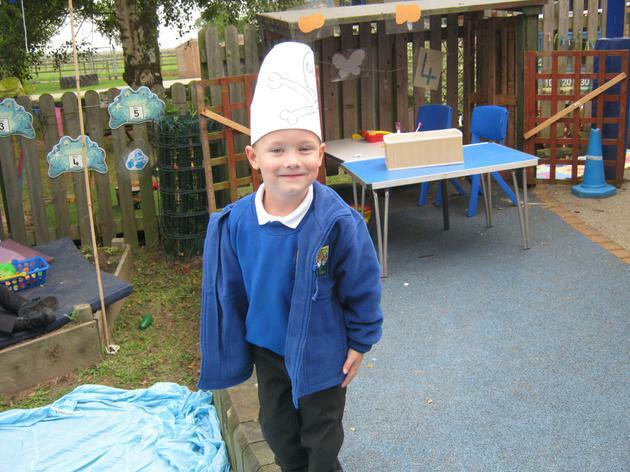 We went on a treasure hunt, played pirate games and learnt pirate songs, we made pirate kebabs and also our own maps. 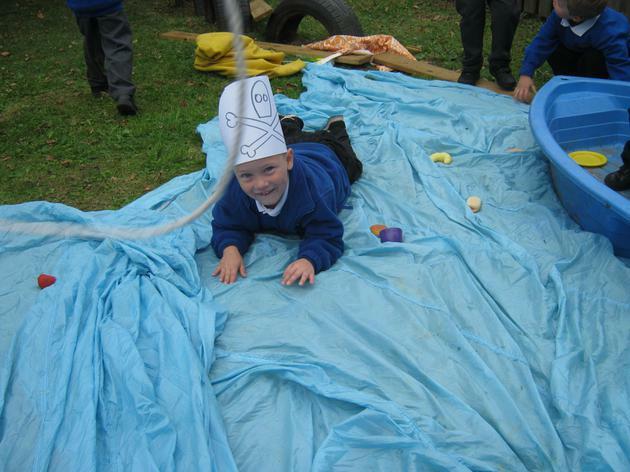 We had a great time and then continued with our focus of under the sea, linking to pirates and mermaids. This week we have started our work on pirates. We are finding out about different things from the sea. 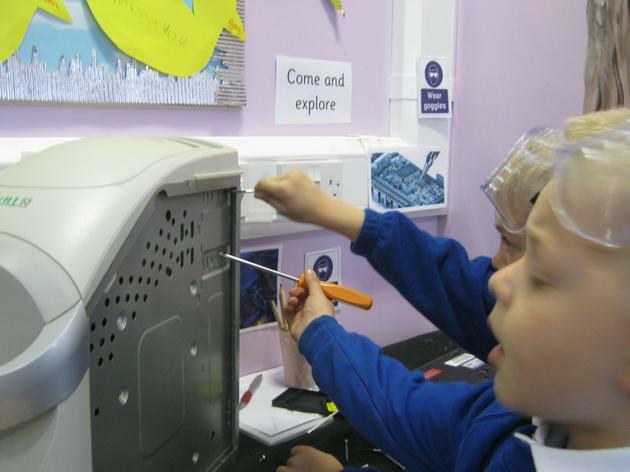 We have a tinkering station as in Tinkerbell and the Pirate Fairy - this is where we will be finding out how things work. 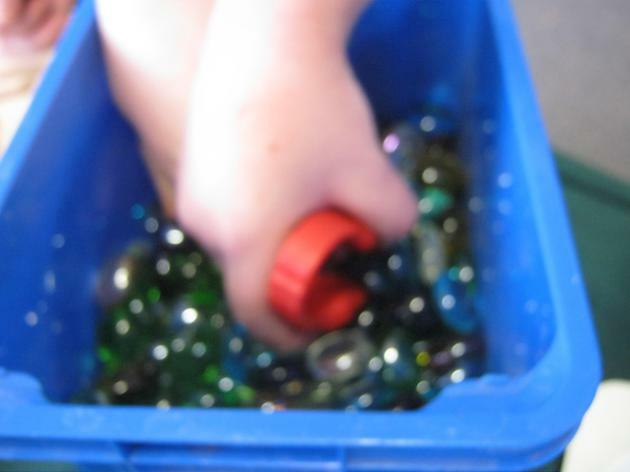 We also have a jewel treasure section in our fine motor control area and a treasure chest in our construction area. 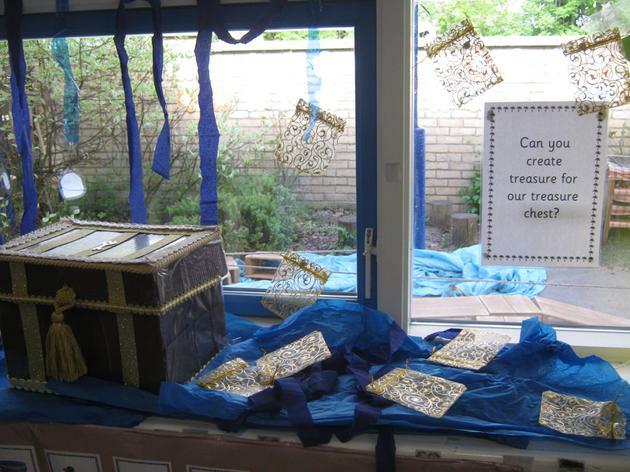 Our task is to make as many pieces of treasure that the pirates would like! We are looking forward to our pirate day next week. The children have been working very hard this week with their learning. They have been looking at their learning journeys and identifying which piece of work they feel they are most proud of. We have also been melting chocolate in order to create Easter baskets, we discussed how this could be done and what would happen to the chocolate. 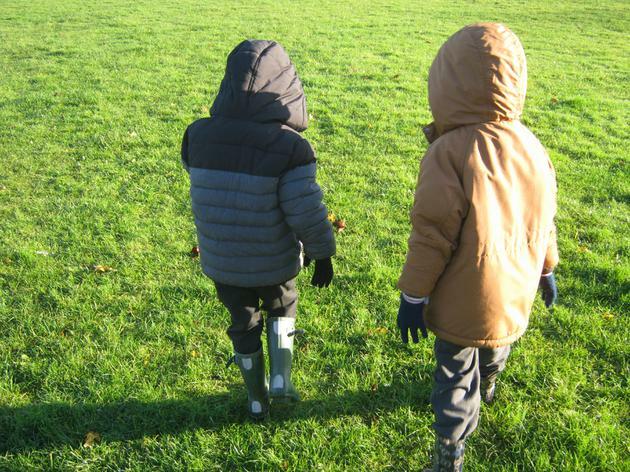 We then went on an Easter walk around our school grounds to see if we could see new life as we read about in Puddles and the Easter Day. We would like to say thank you to everyone who has helped us with our work this term, at school and at home. 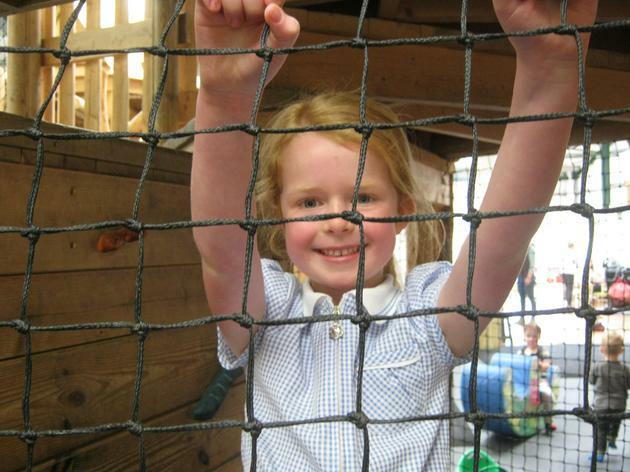 We are now looking forward to an under the sea focus after Easter and a Pirate Day! We have been working hard this week on listening to the ideas of our friends. We are really enjoying this as it gives us even more ideas in our work. We have also been painting flowers. We have used our observational skills to help us, ensuring that we have been using the correct colours and shapes. The flowers are for a very special card! We are so very excited! We love the story and have been enjoying retelling it with actions. We have been discussing our favourite parts and we really laughed about the dragon burning their bums! We then got to share all our hard work with our visitors. A fantastic week caring for the ducks. We have been reading lots of books about ducks, story and information books. We have been discussing ways to look after the ducks and also creating duck castles with 3 d shapes. The ducks went on an exploration in our room and collected lots of objects which we have been writing lists and captions about. We have also been teaching the ducks to swim so that when they move to their new home they will be ready to be in a pond. Our marketplace was wonderful! We were able to share our melting ice experiment and also how we changed the colour of our flowers. The most popular part of our marketplace was our ducklings! 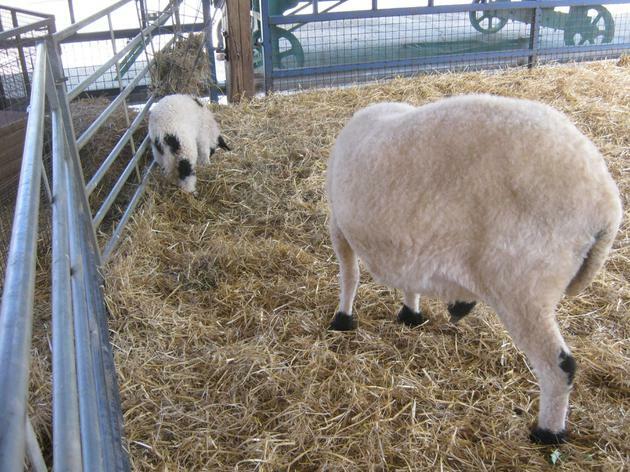 We are carrying out lots of work this week that we would like to share with you on Friday at our market place. We have also been given a very, very special job - The dragon was so impressed with how we looked after her egg that she has told her friends - we have now had 6 eggs delivered to us to look after. 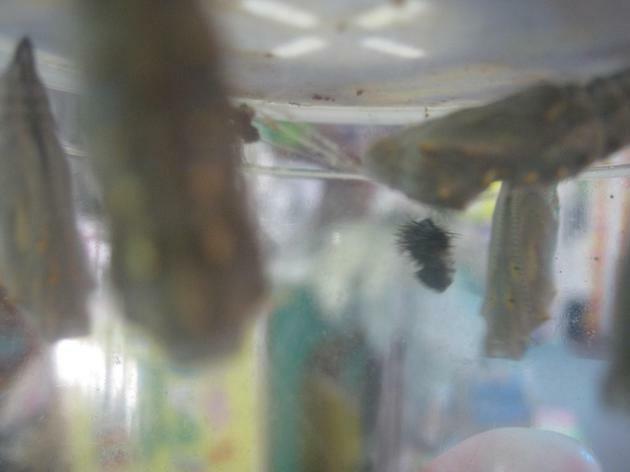 We have come up with many different ways to look after them and can't wait to see what hatches! Pine the dragon must have left an egg when she left our school as a baby dragon has hatched! We are writing sentences to describe the dragon using keywords and sounds in words. 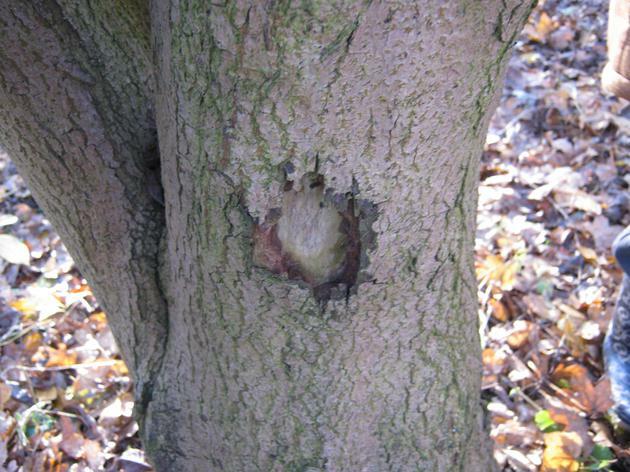 We are also thinking of ways to keep the dragon healthy and how we can look after it. 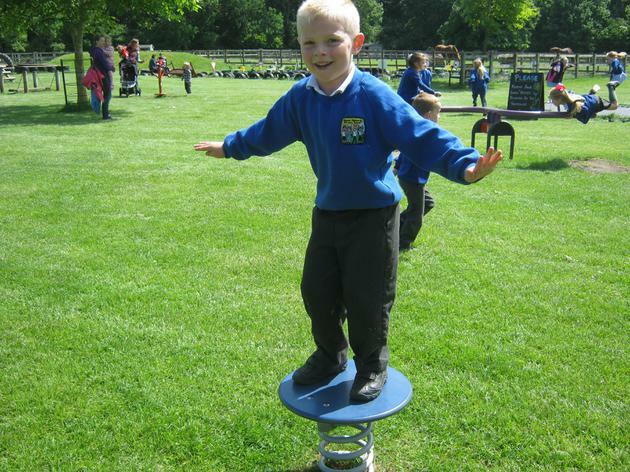 We have also been developing our awareness of weight. Mrs Stevens bought a small dragon to school that we have been trying to find things that weigh more or weigh less than it. We are having a lot of fun estimating and then checking. An egg has been laid in our classroom - what could have laid it? We had lots of discussions - it could be a giant magic chicken, a penguin, a dinosaur and our favourite - A DRAGON! This week we will be creating sandwiches for the dragon and discuss whether we feel it would be a herbivore or a carnivore - then design a sandwich accordingly. 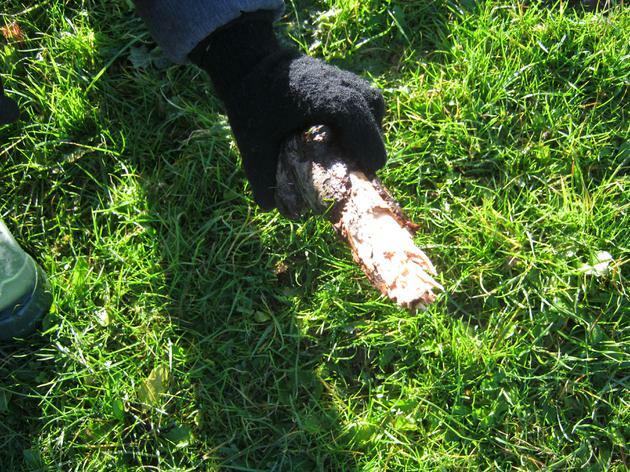 We are also going to use all the sticks that we collected from the wood visit last Friday to create a fire - that should hopefully help keep the egg warm! This week we are beginning to explore length. We have been working on the longest and shortest along with longer and shorter. We have been ordering socks, shoes (to make the longest footprint) and finding items in the classroom that are longer than a pencil. 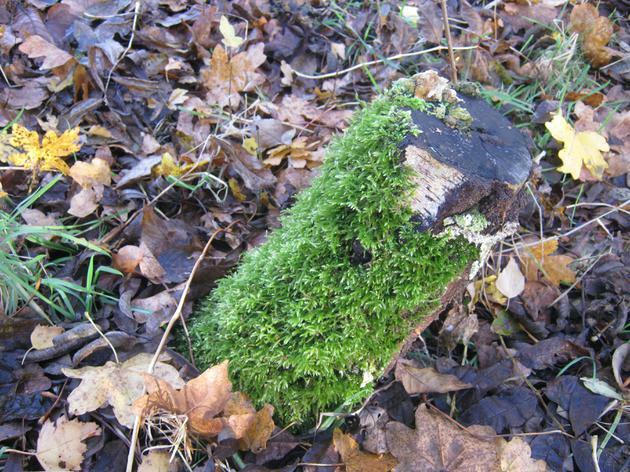 We are also going to the woods on Friday to find lots of different twigs and then order them from longest to shortest. We are being polar explorers. We are investigating our environment and finding any equipment that we could use during our exploring. We will then write lists using our phonic knowledge to remember the items that we have seen. We have also altered our classroom learning environments in order that we can retell lots of snowy stories. Our favourites are: Iris and Isaac, Lost and Found and also Little Penguin Lost. This week were are investigating the story Iris and Isaac. 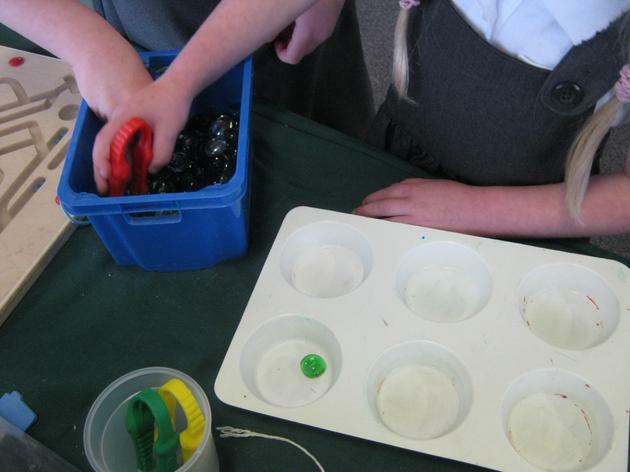 We have been creating igloos with sugar cubes and nests for the bears using playdough. We have also been creating penguins using reclaimed materials, working in our groups making sure that we listen to the ideas of our friends. A very busy week full of investigating. We are looking at ice, how to make it and what happens to it. We have frozen different sized pieces and investigate how they can be melted, what can make this happen quicker, or slower. WOW! 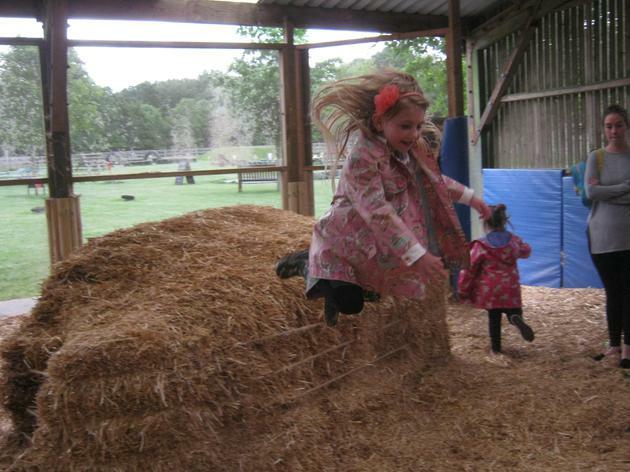 We are all ready now for the very very cold weather! We are working on a poem called 'The Snowman' we are learning the poem and discussing the way that some words sound the same. We are then working on creating our own snowmen using paint and playdough. We are beginning our new investigations. 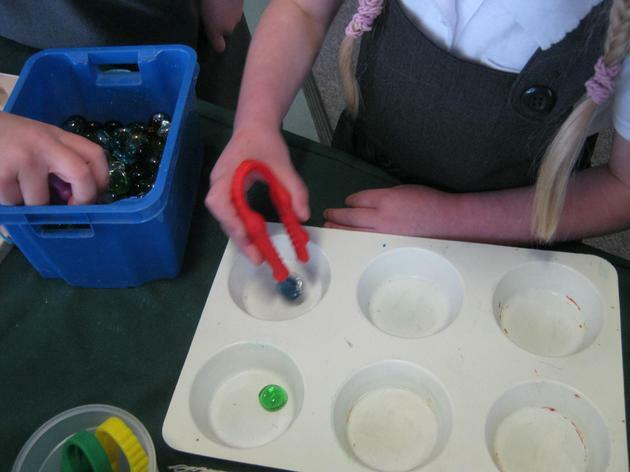 We have looked at ice and discussed how we could make our own ice as today was very warm. We chose some different containers and filled with water. We then carefully put them in the freezer. Let's hope they freeze! A wonderful week full of Christmas activities. We have been writing Christmas lists, playing Christmas counting games and preparing all our Christmas celebration items. We have been working very hard and can't wait to show you all our wonderful work when we bring them home. We have really enjoyed our nativity at church. The singing was wonderful and we learnt many songs. We have brought home a Christmas task. A scrapbook for us to complete with some of the things that we do over the Christmas holidays. We will be discussing them when we come back to school in the new year so please bring them back as soon as possible. This week we have been enjoying the books that the Elves send us each day - they have been very funny and we have been looking at the characters and the sequence of events. We have also been listening to the Christmas Story from Puddles the Cat. We have met Puddles with his owner, Freddie Fisher who lives and works in the church. We have enjoyed this story and are looking forward to watching the year 1 children act it out in our own church next week. We will be writing Christmas lists this week - thinking of different things that we would like to receive for Christmas and using our phonic knowledge to write them. This week is all about Goldilocks. We have been working on looking at the main characters in the story and the sequence of events then using puppets to retell the story. We will also be looking at how baby bear must feel as all his things have been broken or eaten! 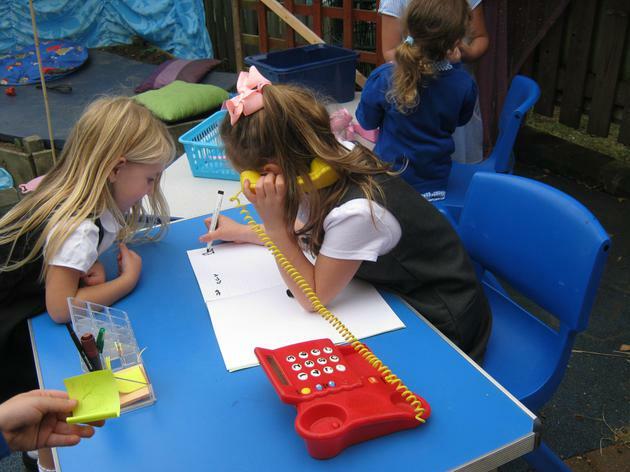 We will be writing sorry letters from Goldilocks and also be thinking about new chairs that baby bear could have as the story 'A New Chair for Baby Bear'. In our maths work we will be working out the best bowl for each bear - investigating capacity with many different containers. I hope mummy bear gets the biggest bowl! This week we are........ 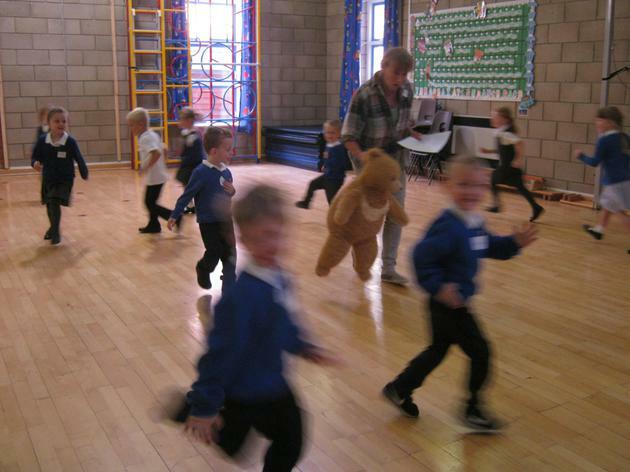 Going on a Bear Hunt! We are reading the story and identifying the key features of the text. We will be looking at the sequence of the story and retelling it. 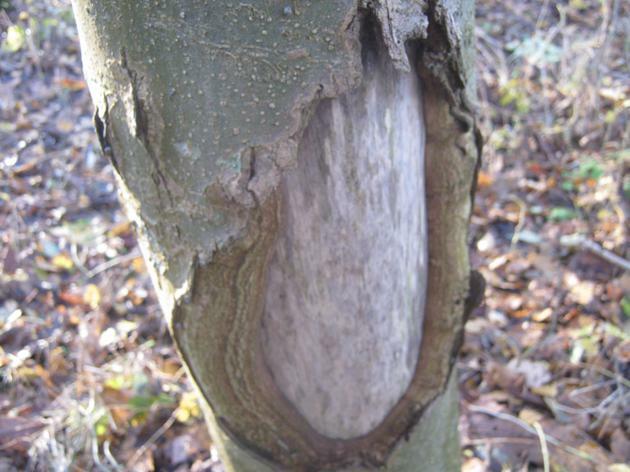 We will work in our classroom, outdoor area and also in our local woods. 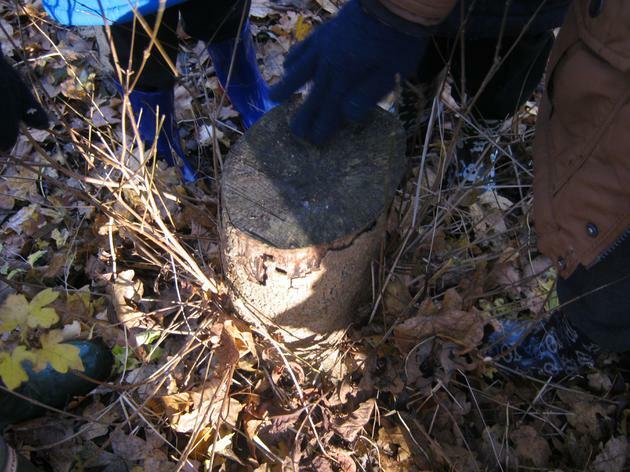 We had a wonderful time looking for clues to see if the bear had been to our woods. 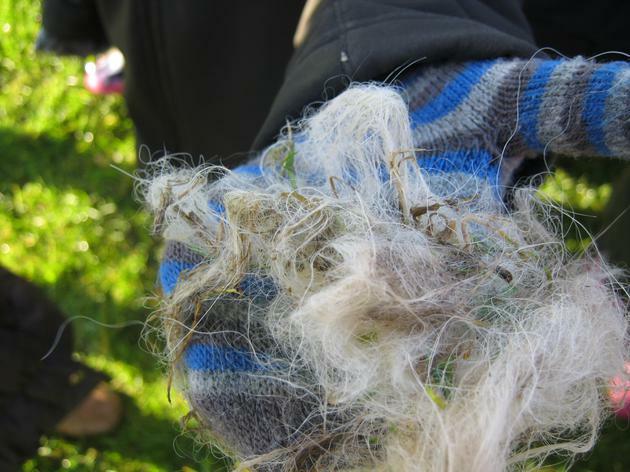 We found bear fur, cooking equipment, bear chairs, a cave and lots of trees that the bear had scratched. what a fantastic time we had. This week we have been finding out about night time animals. We have read the story 'Owl babies' which we enjoyed very much. 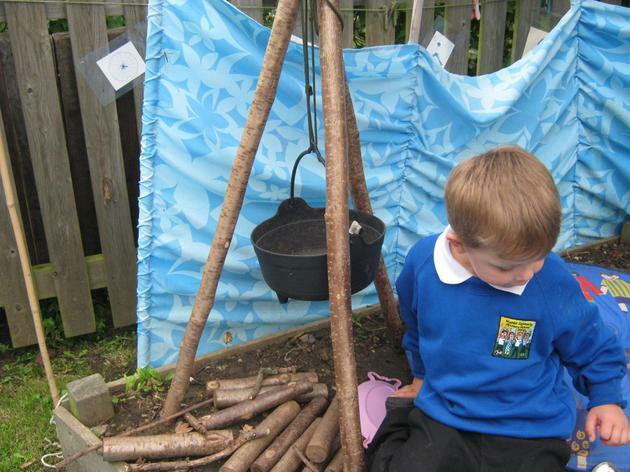 We then went outside to create homes for different creatures. We then wrote captions to say which animal would live in it. This week we are finding out about 'Whatever Next'. This is one of Mrs Stevens' favourite stories. The main character is a bear who wants to go to the moon. He uses his imagination to gather all the equipment he needs and then meets a friend on the way. Mummy bear cannot believe his adventures! 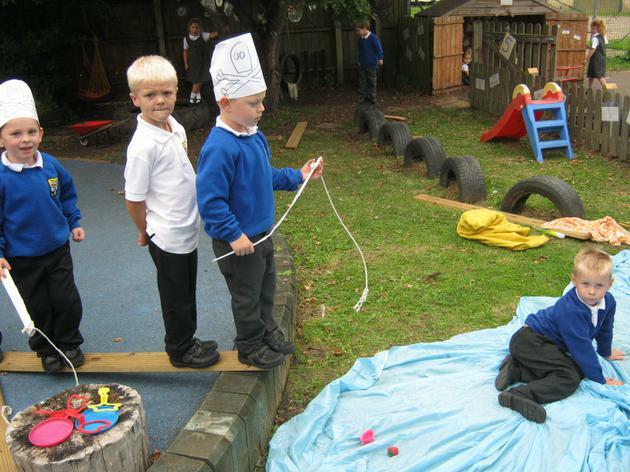 We will then be using our imaginations to tell stories and create. We are really looking forward to this and will share some photos with you! A very busy week. We have been looking at the different parts of pumpkins - the hard skin, soft and squidgy middles and the seeds. 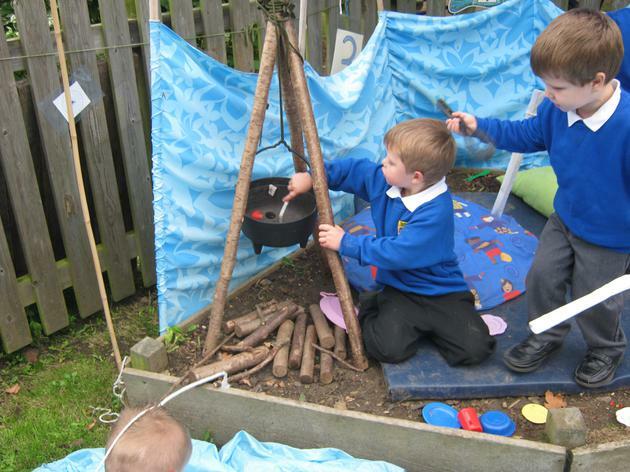 We have also been collecting lots of leaves for our own pretend bonfire. This has then led to creating fireworks and discussing the many ways that we need to keep safe at this time of the year. We have looked at night and day and discussed the different things that happen in each part of the day. We have sequenced parts of the day on the whiteboard and this led to much discussion. We have been finding out about Diwali. We have been learning how it is celebrated and what we can do to celebrate too. We have created cards and mendhi hand patterns. We have also watched the celebration of Diwali including fireworks which were very exciting. We love celebrating and our harvest assembly on Thursday is also a chance to celebrate - we can show our parents around our classroom and then perform some celebration songs and rhymes. 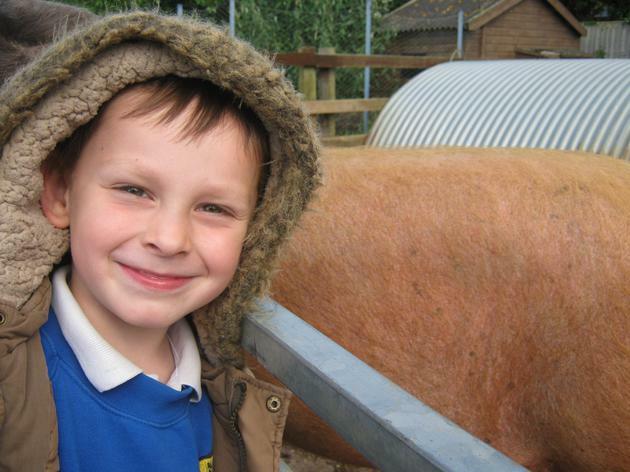 We will then be celebrating the end of our first half term at school! 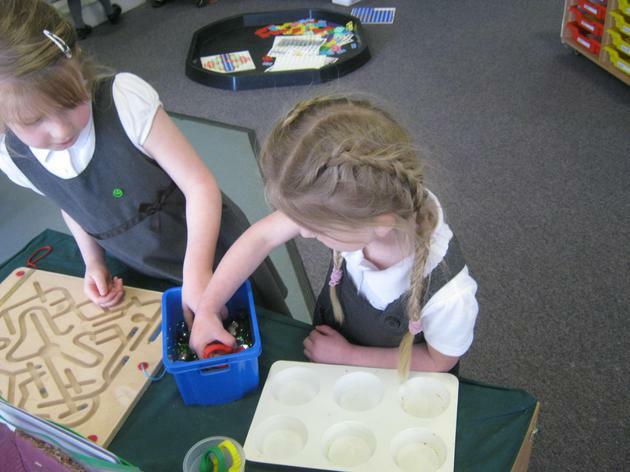 This week we will be working on our fine motor control. We have lots of party food to use. We will be making jelly towers, mark making in custard, threading party rings and hula hoops. 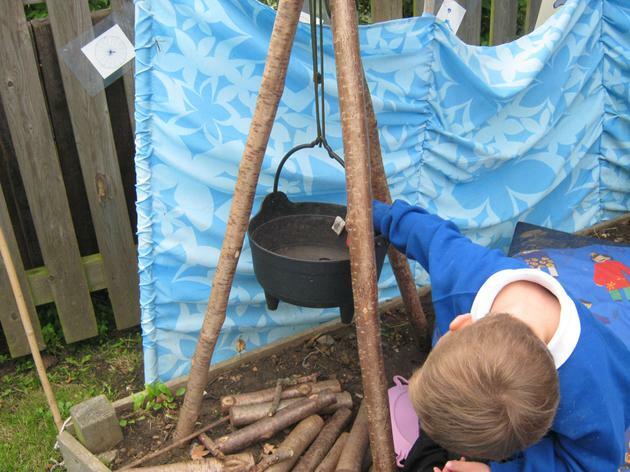 This week is also our outdoor learning focus week where we will be solving problems. We will be investigating shapes - looking around our environment and seeing what shapes we see, creating shape pictures and saying why we have chosen certain shapes. We will also be working on some problems that we will share with you all during our market place on Monday 17th October. We look forward to seeing you! Kipper sent us a very old tatty book. It is so tatty because he made a real mess when he was trying to have a toys party. We decided to find out what happened and used the pictures to help us work out the story. It was a really terrible mess! Mum was not pleased at all. We did feel sorry for Kipper though. He wanted a party so much as he was getting so very excited about his birthday in a few weeks. We came up with a plan! We would try and organise a party for Kipper. This week we have been writing lists of the different things that we could use for a party. We have also been creating birthday cards and working out what party food would be needed. We have also been designing our own wrapping paper. We are all very excited now too! 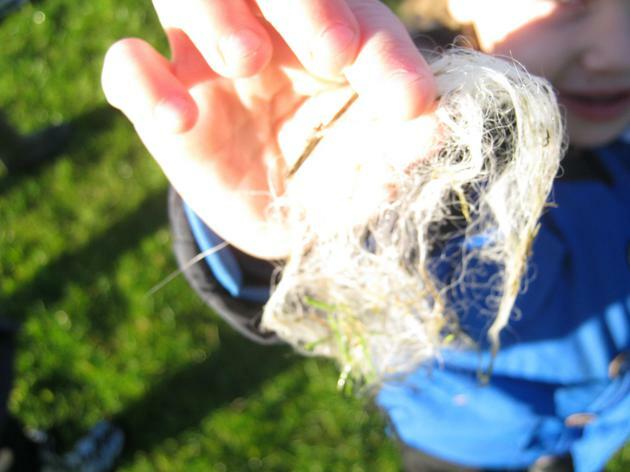 We have been finding out all the wonderful things that our bodies can do - we have been 'texture detectives' when we had lots of different objects and felt them, discussing what they were like and using words such as hard, soft, bumpy, spiky, smooth. 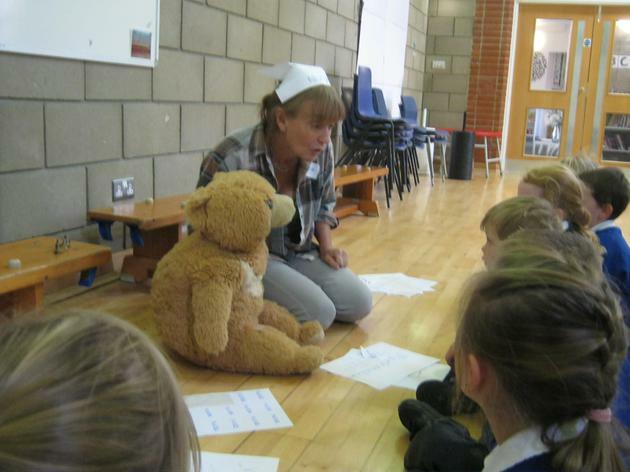 We have then had a session with Belinda in the hall, finding out how to keep ted healthy and making sure that we look after our bodies. We have then worked with lots of rhymes and listening games. We have been working together as this is our first full week with all our friends. We have all learnt the routines and expectations of our new class and are now showing how well we can follow them. 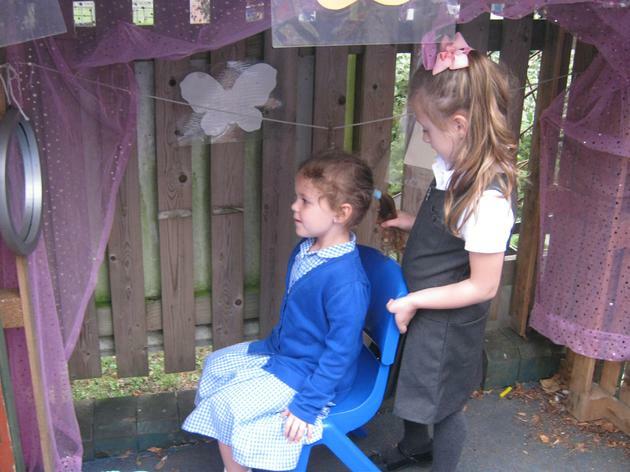 It is great to have all our friends together again and we have created wonderful role play areas. 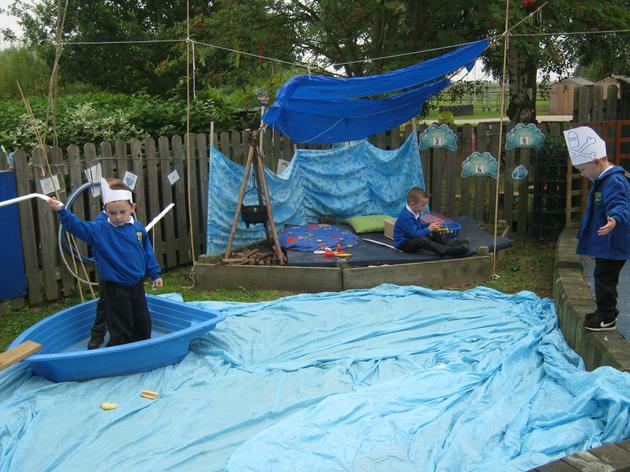 We have a pirate area with a boat, fishing rods and treasure island. 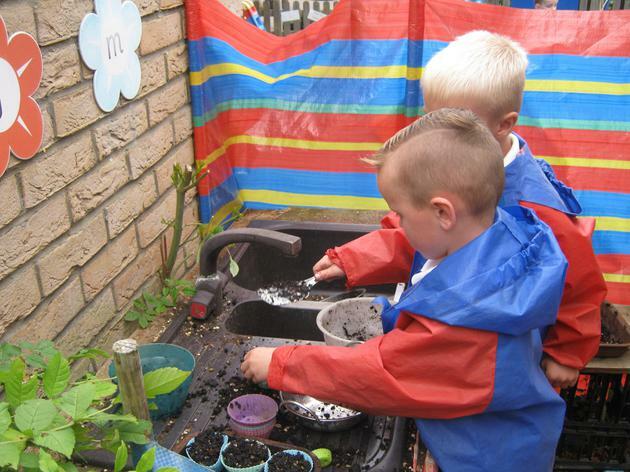 We also have a hairdressers and cafe where we can make mud pies! A great time has been had by all! A wonderful week where we have been sharing lots of information about ourselves. We have been looking at our boxes and sharing our favourite things with our friends. Super listening and discussion took place. 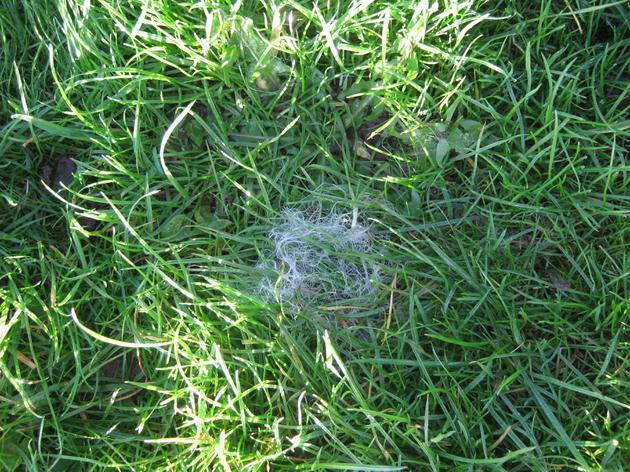 We have also been talking about our favourite nursery rhymes and creating incy wincy spiders! 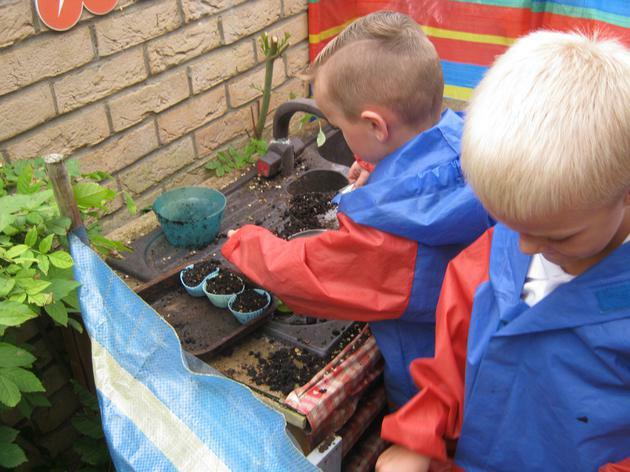 Home visits are well under way and we are finding out lots about what the children enjoy doing. This is helping us set up the classroom ready for their first day! Don't forget your 'All about me' boxes to talk about during the first few weeks - we are looking forward to finding more out about each other.